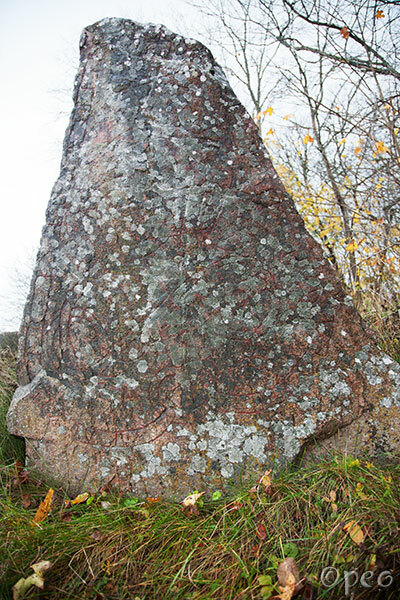 Guðfastr cut the stone in memory of Ketilmundr, his son. All covered with lichen, but otherwise in a very good state. 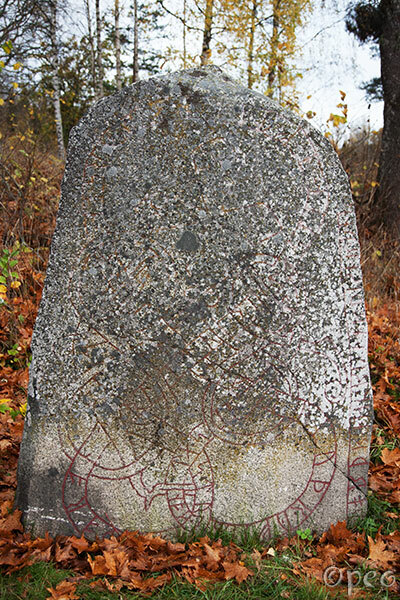 Guðfastr and Þróndr had the stone erected in memory of their father Hals; and Freygunnr in memory of her husbandman. Þórðr cut these runes well. The lower part of the stone is very smooth, while the upper part is rough and hard to read. Guðfastr had them both made.